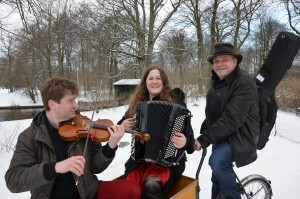 The joint venture between accordion player Mette Kathrine Jensen, fiddler Kristian Bugge and myself, has slowly developed during the last few of years. 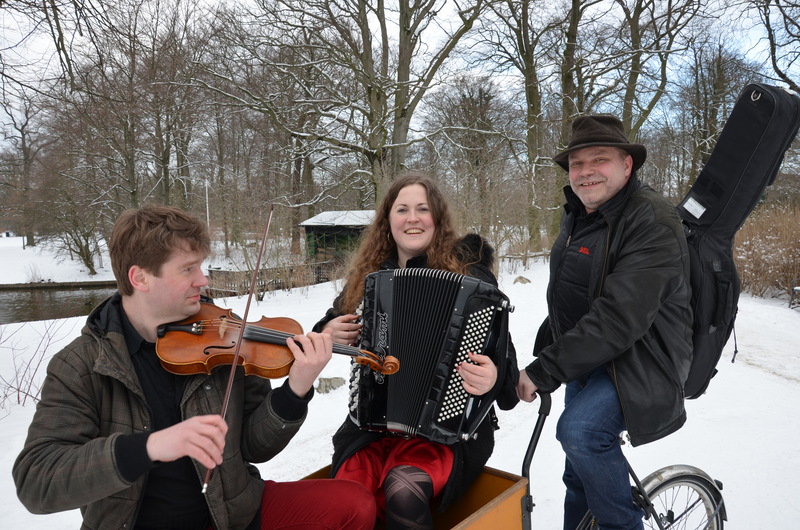 We have recorded with the old Danish-American fiddler and accordion player, Mr. Dwight “Red” Lamb, and we did release the album “Live in Denmark 2”, featuring Dwight, in 2014. Already in 2013 we went to Québec to play at a large accordion festival in Montmagny, French Canada, and in 2014 we did an album with tunes related to Mr. Borcher Madsen who lived in Lolland-Falster (DK), and who would have turned 200 years in 2015. The album “Slid din tid” (Wear your time) was released in June 2015, and got very good reviews around the world. In 2017 we performed with Mr. Dwigth Lamb in Germany, we toured Faroe Islands as a trio in July 2017, and we played in Danseladen (The Dance Barn) at Musik over Præstø Fjord Festival in August.